Apply for a Walmart Scholarship and win scholarship money for college. Walmart offers many different scholarship programs for the community, employees and dependents. 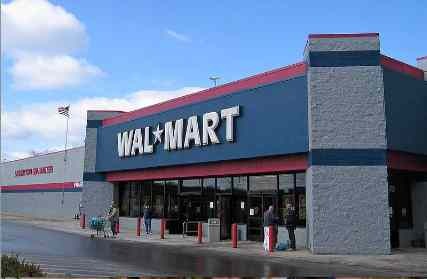 These Walmart scholarships for high school seniors of Hispanic heritage living in specific geographic regions in the U.S. who are enrolling in college as a full time freshman student. •	GPA of 3.0 or higher on a 4.0 scale. •	Must be a graduating high school senior planning to attend college full-time. •	Must be seeking a degree-program in an accredited 4-year college or university. •	Must participate in a one-year retention program in their freshman year. •	Must apply for federal financial aid by completing Free Application for Federal Student Aid (FAFSA). •	Must be permanent residents of: Baltimore, Boston Chicago, Detroit, Los Angeles, Miami, Minneapolis, New York, Philadelphia, Portland, Sacramento, San Diego, San Francisco, Seattle, or Washington, D.C.
WAL-MART Achievers scholarship is in partnership with the Hispanic Association of Colleges & Universities (HACU). This scholarship is open to full-time undergraduate Hispanic students majoring in Business Administration, General Management, Retail Management, Food Merchandising, or related majors in a 2 or 4 year HACU member college or university on the mainland U.S.
•	Must be a citizen or permanent resident of U.S.
•	A cumulative GPA of 3.0 or higher. •	Pursuing a degree in Business Administration, General Management, Retail Management, Food Merchandising or other related fields. •	Demonstrate financial need and be eligible for Federal Financial Aid, and meet specific criteria for the scholarships to which they are applying. •	Attend a HACU-member college or university on the mainland U.S.
•	Must have an interest in pursuing a career in retail industry, and is working while attending school. Student must apply through HACU. Proof of financial need and academic transcripts are required.